The view of the sunrise like never before at Tiger Hill, a yak ride at Tsomgo Lake and visit the enormous Peace Pagoda, WaytoIndia’s Darjeeling tour package for the couple has it all. Get in touch with WaytoIndia’s travel expert today and explore the best of Darjeeling with your loved one. A honeymoon is the most treasurable phase of one’s life. North-East India is arguably one of the most fascinating places of India, and hence a well-crafted honeymoon expedition to Gangtok and Darjeeling is exactly what you need. 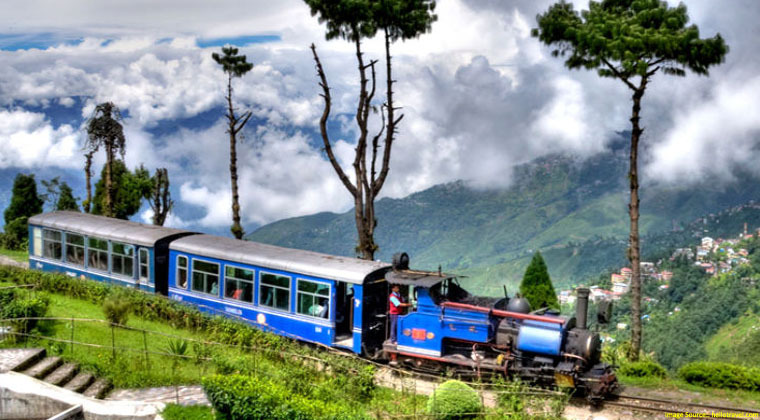 We at WaytoIndia have chalked out Darjeeling romantic packages which comprise of 2 nights in Gangtok and 3 nights in Darjeeling along with local sightseeing in Glenburn. The Darjeeling tour package for the couple takes the traveler duo to the most popular romantic attractions in Darjeeling and provides for the best of honeymoon experience. Witness the scenic beauty of mountain ranges and grasp the opportunity to indulge in the local delicacies. Call our travel agents now to customize a Darjeeling romantic packages to suit your needs and avail huge discounts and benefits. 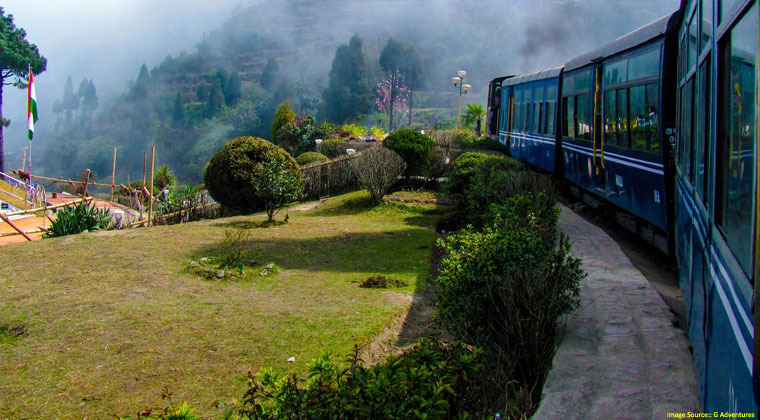 Your Darjeeling tour package for couple commences with arrival at Bagdogra. As soon as you land, you will be escorted to Gangtok via a road journey. Let the excitement stir inside you as you ascend the affluent green forested peaks via zigzagging roads. 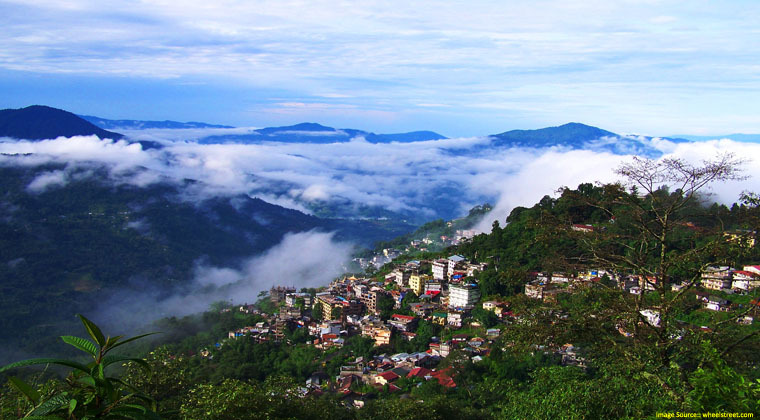 On arrival in Gangtok, check in at the hotel and explore the countryside on your own today. We recommend you to visit the nearby market areas and spend time shopping for local artifacts. There are a couple of markets that you must visit on this Darjeeling honeymoon package. The Lal Bazaar, Kanchenjunga shopping complex and MG road houses diverse items ranging from Nepalese dresses to Tibetan carpets, from alpine cheese to hand-woven jackets and from electronics to baskets made from bamboo and cane. These markets operate from 11 a.m. to 7 p.m. and do not forget to bargain as much as you can while shopping to your heart’s content. Return back to the hotel for a good night’s sleep. 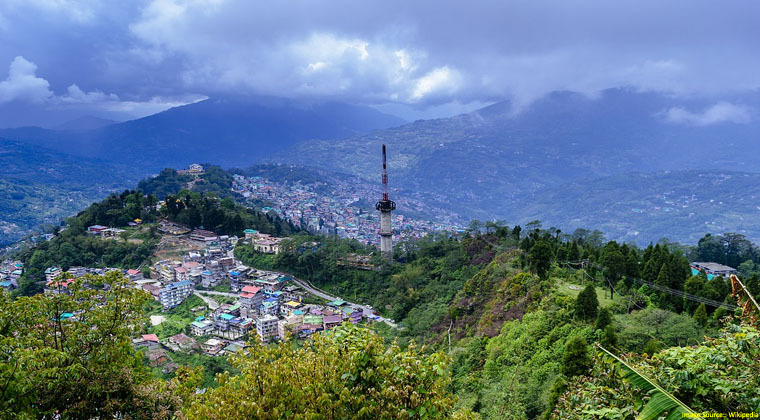 On the second day of this Darjeeling tour package for couples, you will head out on a sightseeing expedition and explore all there is to see in Gangtok. Once you have had a lip-smacking breakfast, pay a visit to the Rumtek Monastery (open 9 a.m. to 6 p.m.). Set at an altitude of 5,800 feet, this 1740’s religious structure is Sikkim’s biggest monastery. Next, head to the Droul Chorthen (open 8 a.m. to 6 p.m.) and the Research Institute of Tibetology (open 11 a.m. to 6 p.m.). Both are located at a walking distance from each other. The stupa is marked by a golden top dome and a small but steep uphill alleyway will lead you to the Droul Chorthen. It was once haunted by evil spirits and this stupa was built to drive them away. At the research institute, you can enjoy the views as well as gain knowledge on the norms and ethnicities of the Mahayana Buddhism and the Tibetans. Lastly, visit the Directorate of Handicraft and Handloom (open 9.30 a.m. to 3 p.m. and closed on Sunday) The sole aim of this place is to preserve and protect the art and craft of the people in Gangtok. Thanka paintings, wooden masks, handlooms, carpets, artifacts and painted items, bamboo and cane work and stuffed dolls are a few things among many others that you can purchase from here. Return back to the hotel a peaceful sleep at night. The third day of the trip will start early with a scrumptious breakfast followed by checking out from the hotel. A long yet scenic drive from Gangtok to Glenburn awaits you today. It is a heavenly retreat that is situated on a hillock. Rive Rungeet flows through the mystic land and gives it its opulent greenery. On arrival, check-in at the hotel and the rest of the day is at leisure. You can choose to spend this day of your Darjeeling honeymoon package relaxing in the balcony with a cup of steaming coffee with your beloved beside you or head out for adrenaline challenging activities. A guided hiking tour lets you explore the land on your feet or you could opt for angling with your partner in river Rungeet. Another romantic and relaxing option is to undertake a full body massage that is so popular with Darjeeling Green Tea Oil, followed by a detoxifying Green Tea bath. Return back to the hotel to spend the night in the comfort of the room and your better half. A lot of exploration on foot is what you will look forward to on this day of your honeymoon. Hence, start your day with a healthy breakfast and walk through the tea gardens where you will get an insight into how the tea bush is fully-fledged and looked after. Head to the Tea Factory later where you will be taken through a conducted tour on how the tea leaf is carried in from the garden, measured in terms of weight and then taken through the procedures of rolling, fermenting, parching and lastly, sorting. After an educational day on fields, head back to the hotel for dinner and to spend a cozy overnight. Fifth day’s beginning will be marked with an early morning healthy breakfast, followed by check out and a short drive to Darjeeling. With over 86 gardens that bring into being the famous Darjeeling tea, this quaint town is as alluring as it can get. On arrival, check-in at the hotel and head out for local sightseeing. Visit the Padmaja Naidu Himalayan Zoological Park (open 10 a.m. to 6 p.m., entry fees INR 25/100 for Indians/ foreigners, closed on Thursday) It houses a number of species of Himalayan animals. It is also home to a museum that showcases different kinds of mountaineering equipment. Next, visit the Ghoom Monastery (open 10.00 a.m. to 06.00 p.m.; no entry fees). It is the largest monastery in Ghoom and is home to a statue of the Maitreya Buddha. This sacred land also preserves few handwritten Buddhist manuscripts that are very rare. Lastly, visit the Tea Estates (open 10.00 a.m. to 5 p.m.; entry fees INR 50 / 300 for Indians / foreigners). The estates help you to look at and study about the tea dispensation in the factory where some of the best tea in the world is produced. After visiting all the local sightseeing places in Darjeeling, return back to the hotel for a well-deserved peaceful sleep. Enjoy the last breakfast on this Darjeeling tour package for couple and check out from the hotel. Transfers to the airport or any other boarding point as per your requirement shall be arranged for and you will start the onward journey home. We hope you had a great time and will get in touch with our team of travel experts again for your next holiday tour. The best time to plan this Darjeeling tour package for couples is from March to April. Winters can be really harsh and the fog in the sky can prevent you from enjoying the mesmerizing views of the valley. Letting the hotel know about your Darjeeling honeymoon package will presumably result in some extraordinary treatment and good service. Most hotels offer flower bed decoration, cake etc. if intimated about honeymoon package. Many hotels also allow complimentary services like a candlelight dinner meal and a room that has a good view. Another thing that the hotel staff can help you with is planning a beautiful surprise for your partner. Plan a romantic dinner against a beautiful setting with champagne or a campaigning night with a bonfire, as per your partner’s preferences. Shop for necessities such as medicines for cold and cough, fever and headache for you and your partner. Since the area is hilly and the itinerary includes a lot of road travel journey, keep medicines handy for motion sickness and nausea. Remember to pack light in terms of the techie equipment. Carry extra batteries if necessary for your camera as you do not want to miss on capturing any romantic memory on this honeymoon. Drink enough water and keep yourself hydrated. The regions can be really dry sometimes and will leave your throat parched. Keep photocopies of all your documents and get your emergency contact numbers in place.